When planning an event outside your home country good starting point is to contact the local Convention Bureau (CVB) for assistance, recommendations and introductions to local suppliers. In November’s #EventPlannersTalk Twitter chat I was joined by Business Events Denmark to answer some of the key questions about CVB’s role, what services we can expect and what are the benefits of working with CVBs. Bellow are key takeaways from the discussion and suggestions how Convention Bureaux can assist event planners. How can Convention Bureaux assist event organisers plan their event in the destination? Eventopedia suggested that CVBs often know the culture and language intimately so can support in many ways that may not appear obvious and highlighted that they will know of any major events or any restrictions that could impact the event and help plan around them. Beborah added that they can assist by offering free, impartial event solutions service to #eventprofs, bid assistance and a comprehensive planning kit, offering unique product knowledge, current and future developments and venue openings, adding that London’s CVB (@London_CVB), for example, acts as a broker through their established business relationships and vast connections and are able to provide bid assistance for all events within London’s key sectors. Cecilia suggested that their local knowledge, expertise and insider tips can support and save #eventprofs time and money. What are the benefits of working with a Convention Bureau? Megan listed reach, exposure, resources and local knowledge as key benefits and that being able to advise about city construction and other events that may impeded/compete, protests, etc. are key benefits. Deborah noted that they help with all aspects of event planning, from handling RFPs to providing visitor information for delegates. Stuart added that CVB’s are able to provide useful connections and introductions to relevant contact. DetailsQuinn shared that she was able to work with them on access permits and that connecting with vendors and venues is much easier. I added that they are non-for profit, know the destination very well and can make important introductions to experts. Amanda shared that they see how local venues can be used together and what has/hasn’t worked well before so can advise. BizEventsDenmark concluded that it’s also important to see CVBs as partners and not only suppliers. What services would you expect from a Convention Bureau? Eventopedia mentioned that license/permits and language translation can be incentives to book a destination (for association meetings/ large exhibitions). BizEventsDK said that CVBs are great at knowing the business environment – the local way of doing business and local culture. Megan shared that a good practice in the US is that CVBs partner with other cities (in the US & abroad) and share info about groups and practices. I added that by understanding business needs and objectives they can give relevant recommendations and support before, during and after event. DetailsQuinn highlighted that CVB should promote your event by adding it to their calendar. With so much free content, information and tech available, how does a Convention Bureau stay relevant? Heidi suggested that customized advice and assistance rather than information overload can make CVBs stand out. BizEventsDenmark said CVBs know how to find what is relevant and customize it. CVBs may also have more valid information as anyone today can put up online. I added that by being responsive across the different social media channels and by being where the (online) audience is. Amanda said that local and real life experience is an advantage over event technology when need advice and that discussing solutions helps. Deborah said that offering bespoke research and insight to attract and support events that best fit the destination. A win-win for both parties. Eventopedia concluded that nothing beats good relationships! If CVBs have great partnerships and contacts that is more helpful than free info. What kind of value does a Convention Bureau offer for the destination? Deborah said these are bids to secure contestable events for the destination, attract investment and visitor spend – which create jobs and growth and also help a destination move up on the ICCA top convention city rankings. I added that they bring business that supports local industries, maintain quality and promote destination internationally. Has there been a change in the way meeting planners use Convention Bureaux? 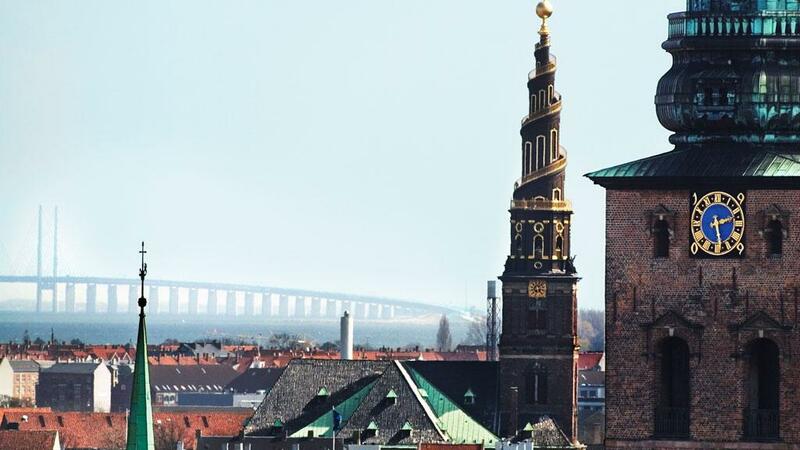 BizEventsDenmark suggested that perhaps more planners use CVBs to avoid using DMCs, adding that planners are more busy these days and need as much help as possible, and that’s the CVBs’ job to assist them. I added that planners recognise that CVBs can be their partner rather than supplier and that also planners recognise the importance of building long term relationships. DetailsQuinn said that in the beginning she used them for everything, however, that changed when partnerships with other vendors begin and now when she reaches out to a CVB it’s more for providing her info on more direct tasks that are required towards the event. Deborah concluded that speed is everything, clients want quick turnaround and CVB’s have to respond and be ‘under the skin’ of the client.